I've just done the exact same thing. I am in the process of moving some apps to WPF. I've decided not to bite off MVVM just yet, or any VM. I'm just trying to learn the basics of WPF. I have found SO, other internet sites and this book very helpful. BTW, I'm finding it's much easier than I thought. Takes some getting used to, but I'm already hooked (XAML is very cool). I'm convinced the best to learn is to simply jump in and start doing it. 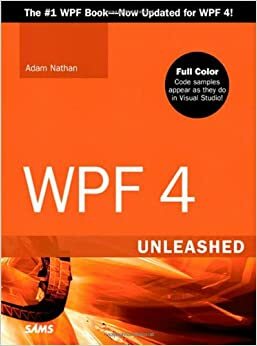 WPF introduces a new type of property called a dependency property that is used throughout the platform to enable styling, automatic data binding, animation, and more. You might first meet this concept with skepticism, as it complicates the picture of .NET types having simple fields, properties, methods, and events. But when you understand the problems that dependency properties solve, you will likely accept them as a welcome addition. A dependency property depends on multiple providers for determining its value at any point in time. These providers could be an animation continuously changing its value, a parent element whose property value propagates down to its children, and so on. Arguably the biggest feature of a dependency property is its built-in ability to provide change notification. The motivation for adding such intelligence to properties is to enable rich functionality directly from declarative markup. The key to WPF’s declarative-friendly design is its heavy use of properties. Button, for example, has 111 public properties (98 of which are inherited from Control and its base classes)! Properties can be easily set in XAML (directly or by using a design tool) without any procedural code. But without the extra plumbing in dependency properties, it would be hard for the simple action of setting properties to get the desired results without the need to write additional code.